The Ghostfacers are back! 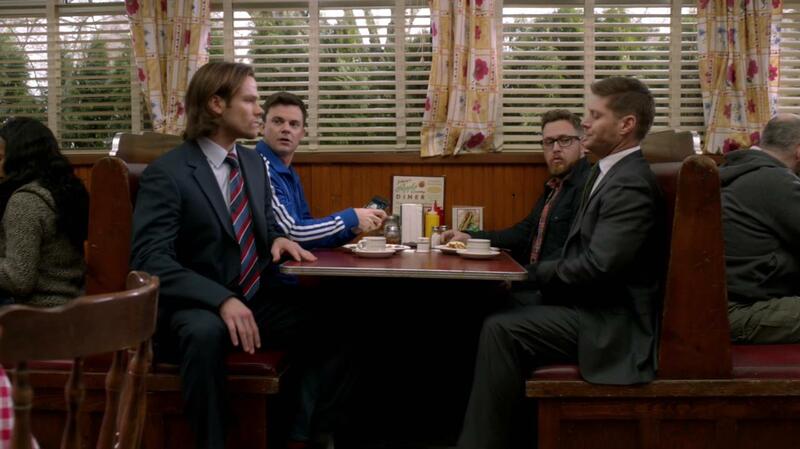 But instead of happy fun times, we were weighed down with heavy-handed parallels and Winchester angst to the max. 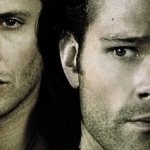 It feels like Sam and Dean are dragging everyone into the pit of despair just by being in close proximity. Poor Ed and Harry. I am always happy to see the Ghostfacers. They usually bring a levity and a sense of humor to the cases that they work on. Sam and Dean may be the professionals, but Ed and Harry and the rest of the gang are semi-professional enough to stumble their way through and come out alive in the end. But there was no joy in our reunion this go-around, as their time away has changed the situation tremendously. There is no team anymore, it’s just Ed and Harry traveling around in a van chasing one particular legend — Thinman. On the surface it looks like they’ve done pretty well for themselves, even writing a book about the boogeyman, but digging deeper you see the cracks in their lifestyle. Everyone else had abandoned the team, and Harry was contemplating doing the same in favor of having a normal life with the girl he loved. Ed, in an attempt to keep hold of his friend, made up the legend of the Thinman and Harry got sucked right back in when the thing went viral. Unlike the first time they did this, when the legend became real on the power of everyone feeding into the history, this one became real through the twisted minds of two psychopaths who set out to kill those that wronged them. And when Harry discovers the web of lies Ed has built, after Harry almost dies from being attacked, he breaks up the team and leaves Ed behind. Deep, dark, depressing. 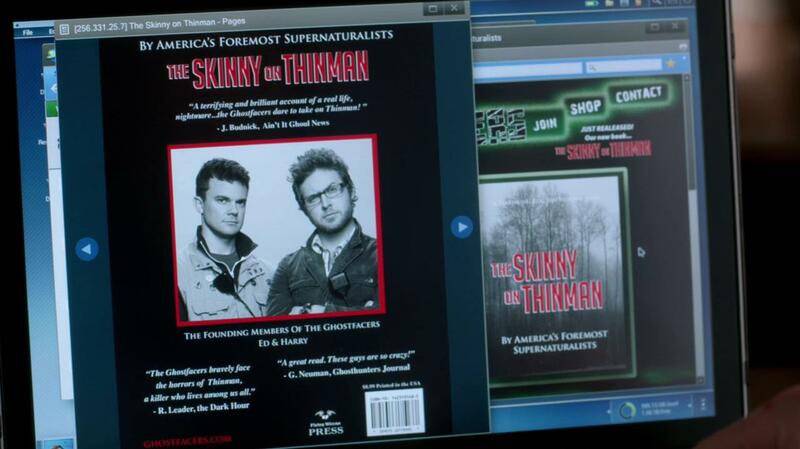 These aren’t the Ghostfacers I remember. More like they became twisted into parallel versions of Sam and Dean in order to teach the Winchesters, and the audience, a lesson in how destructive secrets can be. I didn’t appreciate the heavy-handedness of the lesson at all. I get it. 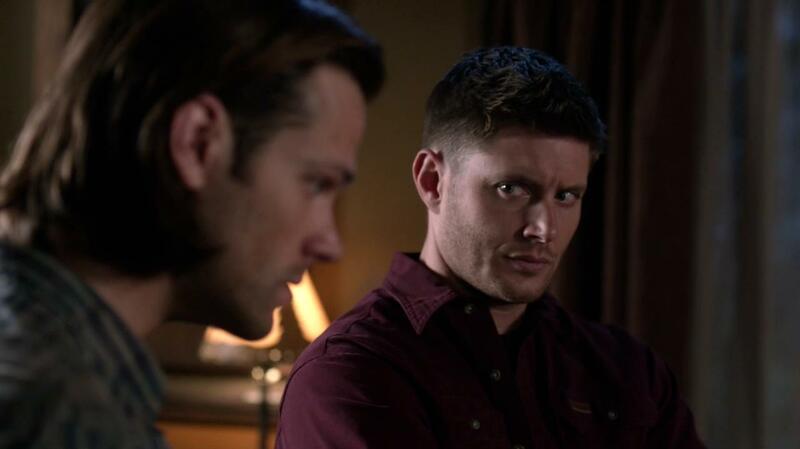 The destruction of their relationship is a mirror of the destruction of Sam and Dean’s relationship. I didn’t need the flashing sign to tell that. But I also feel like if the Winchesters would just talk to one another, rather than at one another, they could make a little progress toward healing the rift between them. 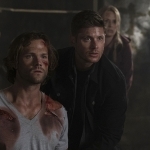 Dean doesn’t understand why Sam can’t just put the situation behind him and move on, based on the power of brotherly love, and Sam doesn’t understand why Dean can’t see how much his decisions have hurt Sam. But do they voice this to one another? No, which is why we continue to have long looks of angst and tense rides in the car. I loved when Dean reminisced about their childhood, when Sam was five and jumped off the roof of the shed dressed as Batman, following his brother who was dressed as Superman. Sam broke his arm and Dean had to drive him to the ER on his handlebars. A reminder of how Dean has always looked out for his little brother and Sam has always followed him into dangerous situations. I wish Sam would focus on the good things, but that’s what he’s saying, isn’t it? That Dean wants him to focus on the good and just push aside the bad, when he just can’t do that. Talk, boys. Just talk! Despite what Dean thinks, that perhaps Sam doesn’t love him anymore or care about all the sacrifices he’s made in his life on Sam’s behalf, it’s not true. Sam still loves Dean more than anyone, and he would do anything to make sure he remains safe in the face of danger. But there is a lot of baggage between them and a lot of need to clear the air. And every week I wait in hope that they will finally make some move toward repairing the broken bonds but, alas, my wait is always in vain. Maybe after the mini-hiatus?